Do you want to live a powerful life? Are you looking for change that will affect the way you live? Do you want to find balance within your body and mind? If you answered â€œyesâ€ to any of the questions above, then this book is for you! 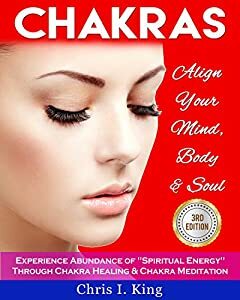 Chakras: Align Your Mind, Body And Soul - Experience Abundance Of "Spiritual Energy" Through: Chakra Healing & Chakra Meditation will help you unlock your hidden chakra potential! A step by step guide on how to discover, activate and utilize your chakras! So what are you waiting for? !